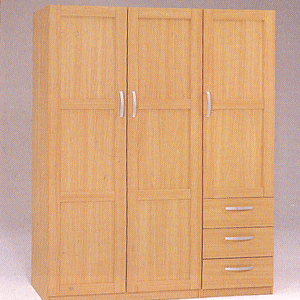 Includes One 2-Door and One 1-Door With 3-Drawers. Extra pieces can be purchase separately. Easy to assemble. Strong Construction. Available in Natural or Espresso Finish.